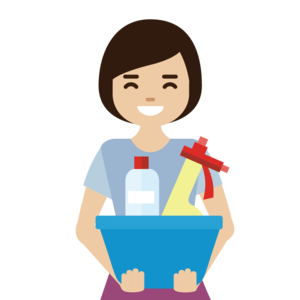 Looking for home cleaning solutions? Book me now! I will provide you with mopping, sweeping, window cleaning services and more. I also serve a variety of household types including HDBs, condominiums and landed property homes. SenSen is good but only a little communication difficulties due to her speaking mandarin only, otherwise it is all good. Sensen is hardworking and does the job fast. Given the short amount of time, she will share with us on the small tips and tricks on how to do the household chores efficiently as well. Sensen is hardworking, punctual and responsible. Sen Sen is a 5 star! She'a superb and quick handed. Sharing useful household cleaning tips. Definitely will be using Caregiver Asia again.